We’ve all done it. Chickened out at the last moment, failed to close the deal, didn’t click the “CONFIRM TRANSACTION” or “BUY” button. But when our customers jump overboard at the final hurdle, it means real losses for our business. This is where custom segmentation comes in handy. One of the most helpful tools Piwik PRO offers to improve your business’s performance is the custom segment feature. In this post we’d like to show you one way to take advantage of custom segmentation. This will help you improve conversion rates and get more of your users all the way through the funnel. Example of a Piwik custom segment that records data for paying customers. The first step is to create a segment that records helpful data about the level of user engagement that your defined audience achieves before becoming paying customers. We can check parameters like visit duration, bounces, average number of actions and many others to understand how our most profitable visitors move around the site before finalizing their transactions. Creating a custom segment isn’t a difficult task. Just click here to learn step-by-step how easy it is to set up segments in Piwik PRO and read great examples of its usage. Next, we set up a “similar visitors” segment to see how many visitors are close to converting but decide in the end to abandon our shopping cart. Data from the first segment of paying customers is used to set range values which capture visitors following similar paths. Once we’ve done this, step three is to apply the new segment to the conversion funnel and observe how many engaged visitors abandon our cart. 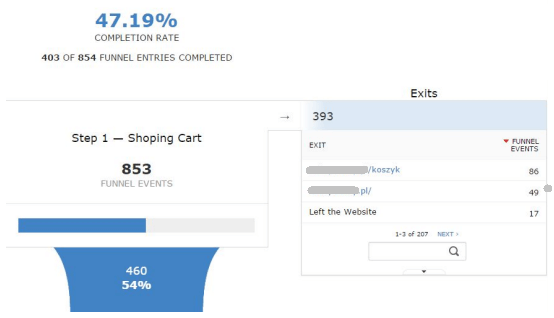 We discover the specific event in the funnel where visitors with engagement levels similar to customers end up leaving the shopping cart behind. After compiling all this information and comparing the behaviors of paying customers to those of visitors abandoning their purchase, we can implement solutions that give visitors one more incentive to make it to the finish line. For example, Piwik PRO reports can identify the key moment in the funnel where the “similar to buyers” segment frequently abandons the shopping cart. This is the place where you should present them with a special offer – a promo code or free shipping can often convince the user to take that last step. Carefully designed popups and flyers that hit the right note can tip the scales and raise your conversion rates, thus boosting your bottom line. So if you’re having trouble finding ways to increase sales, get a better understanding of your users’ behavior with the custom segment feature in Piwik PRO. It can be the difference between ho-hum and spectacular conversion rates. 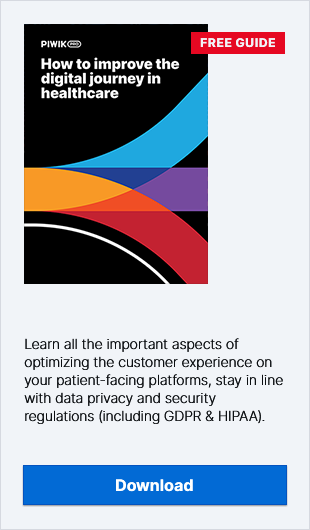 And you can learn even more about segments in Segmentation User Guide.